Please join us in congratulating the Foundation's 2017 scholarship recipients! These scholars have been recognized for their hard work in their academics, extracurricular activities, and contributions in the community. We congratulate each one of our scholars, and look forward to sharing their journey with them. 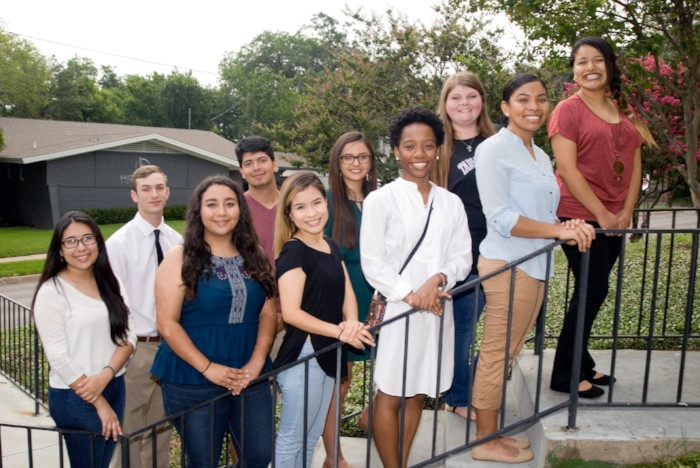 Meet Our Returning Scholars. 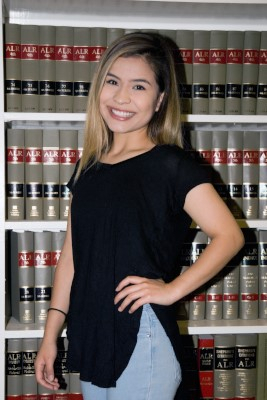 An Honor's graduate in high school, Diana participated in National Honor Society, Varsity Soccer, and AVID, was a community volunteer, and part-time employee for Cracker Barrel where she is still employed. Dianna is completing the Certified Nursing Associates program through McLennan Community College and plans to transfer to Midwestern State University to complete a Bachelor's degree in Health Science. The first in her family to graduate high school and the first to attend college, Ashley credits her parents for encouraging her to strive for high grades. She appreciates the personal sacrifices they have made so she and her siblings have opportunities they did not have to receive a good education. Salutatorian of her class, Ashley took AP and Dual Credit courses throughout high school. She also served as President of the Student Council, was a member of National Honor Society, and volunteered as a Kindergarten teacher assistant and for Fuzzy Friends. Ashley attends McLennan Community College where she is completing an Associate's degree. 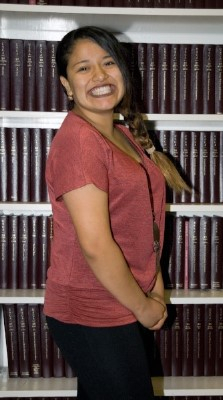 She plans to continue her education, obtain a Bachelor's degree in Chemistry, and apply to dental school. When she graduates, she plans to travel to developing countries and aid them with free dental care. The first in his family to graduate high school, Edgar "made a personal pledge to be the best student I could ever be." He found inspiration through his mother's tenacity and positive example to overcome language barriers, complete her GED, and enter TSTC's Culinary Arts program. 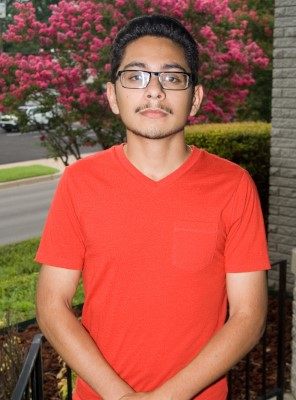 A successful student in high school, Edgar served as Team Captain of the Robotics team, earned all A's in multiple dual credit classes, and the nomination by his principle for the prestigious CTE President's Award. He also volunteered in the community and in his school - mentoring younger students through the College Readiness and Leadership program. Edgar attends the University of Texas - Dallas where he is pursuing a degree in Computer Science. His career goal is to work in the field of robotics and computer programming. The first in her family to graduate high school, Yuridia graduated with a 4.0 GPA while taking Dual Credit classes and working part-time for H-E-B. In her senior year, she served as Secretary for National Honor Society, Vice President for the Fellowship of Christian Athletes, and participated in the AVID program and band. Yuridia attends McLennan Community College where she is completing an Associate's degree to transfer to Baylor University. Yuridia plans to get a bachelor's degree in Psychology and study Behavioral Neuroscience "so that one day I may be a mental health specialist in the army." A Top 10% and honors graduate, Trenatie took Honors classes throughout high school in addition to serving as President of Student Government, Vice President of her senior class, and participating in National Honor Society, One Act Play, athletics, and UIL - advancing to Regional competition in Poetry Reading, and District in Persuasive Speaking and One Act Play competition. Trenatie attends Sam Houston State University where she is pursuing a degree in Victim Studies. Born in Waco and first in his family to attend college, Namir did not speak English until he entered kindergarten. "I soon learned that the hardest part of school would be the language barrier... I came to understand that one of the most important keys to success is communication. It truly is the key to knowledge...to being successful...to everything we do."" In high school, Namir was in the band, Link Crew, and a Revolution volunteer. He also worked part-time (and still does) for Jim's Krispy Chicken. Receiving this Scholarship is helping Namir "to meet my goals and to become a college-educated adult. I know I can make a difference and change lives for the better with a degree in computer engineering. I appreciate the opportunity I have been given to have an education and study to have a better and a more promising life. I want to work with incredible minds that think creatively and to seek solutions to workplace problems. I believe in myself and in my abilities. I only need someone to believe in me and to invest in my future." Orionnamir (Namir) is completing TSTC - Waco's Cyber Security program, will earn an Associate's degree and continue his education in engineering or law. "My desire is to study cybersecurity and to advance the manner in which we deliver justice to those who choose to break the law. Every individual depends on technology so much in our world today that we need to continually seek to find new ways to thwart those who seek to harm others through cyber theft." Through volunteer work for a local hospice/rehabilitation center Alicia found her calling for social work. "I found that caring for people and helping them through trying times is a passion that I will never be able to shake....I became a different person, a better person, and for that I will forever be thankful." Alicia entered Baylor University as a Sophomore and will apply to the School of Social Work to complete a bachelor and master degree. An Honors graduate, Alicia earned an Associate's degree from McLennan Community College in her senior year of high school, served Captain of the Robotics team, Vice President of National Honor Society, Senior Class President, Chairman of the Waco Youth Council, and community volunteer. The first member of her family to go to college, Hailey learned the importance of perseverance in the midst of hardships. In high school, Hailey graduated with Honors. She served as President of the Beta and Spanish Clubs - awarded "Sweetheart" and "Most Valuable Member," Athletic Manager, and was a member of the Fellowship of Christian Athletes, FCCLA, Yearbook, One Act Play, and participated in UIL in which she was a Regional qualifier. Hailey attends Tarleton State University where she is pursuing a degree in Education. 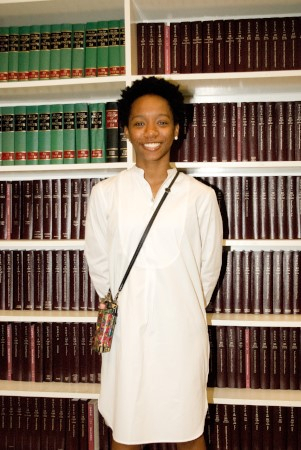 She has plans to teach high school and ultimately a school counselor. Grace attends the University of Texas - Austin where she is pursuing a degree in Psychology, with plans to become a Clinical Psychologist. A Top 10% graduate, Grace took AP and Dual Credit courses and worked part-time at Whataburger to save for her college future. In her Senior year, she served as Vice President of the Senior class, was a member of National Honor Society, Student Council, Academic Decathalon, Spanish Club and Cheer Squad. Grace credits her mother for teaching her the importance of determination. "As a busy mother of nine with a mission towards mastering English....she taught me through her actions that my circumstances do not define my success....that I can only prosper through hard work....(and to) 'Never expect results when you don't put in the work.'" By receiving the Brazos Education Foundation Scholarship, Grace is "wholly prepared to put in the work and devote myself to bettering my future and the future of others." 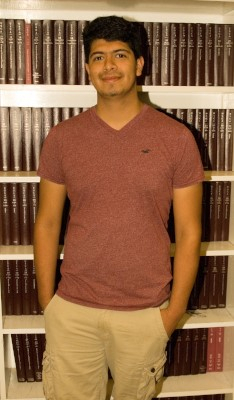 Roger entered Texas A&M as a Sophomore in the Mechanical Engineering program. First in his family to attend college, Roger graduated high school with an Associates degree from McLennan Community College. An Honors graduate, Roger took Honors, AP and Dual Credit courses while also serving as a Teaching Assistant and officer in TSA and the Bowling Clubs. He credits his parents for instilling in him a strong work ethic and his high school instructors for encouraging him to pursue higher education. Receiving the Brazos Education Foundation Scholarship "will allow me to attend (college), and make a career in engineering, thus providing for a more financially secure future for my family while I made a difference in my community and ultimately the world." Jennifer is the first in her family to attend college. Salutatorian of her class, she graduated with a 4.0 GPA while also working part-time for Brookshire Brothers, taking Dual Credit classes, and participating in UIL, One Act Play, National Honor Society, Mock Trial, and PALS her Senior year. Jennifer attends Texas State University where she is majoring in Chemistry and minoring in Spanish with plans to become a Pharmacist. Aleah attends Texas A&M University where she is pursuing a degree in Animal Science with plans to apply to A&M's Veterinary School. Aleah is first in her family to attend college. She graduated in the Top 10% and took several dual credit and Advanced Placement classes while participating in Varsity Basketball, Cheerleading, Track and Field, and Volleyball; in her senior year, qualifying for State competition in Cross Country. Aleah also worked part-time and volunteered for Jager Veterinary Clinic. "This scholarship will mean a lot to me because my educational goals are extremely expensive. Although they are expensive, I am persistent on completing these goals and I have faith that I will make it because I am a very hard working person."